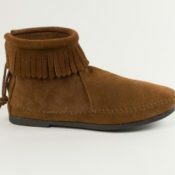 Deerskin upper with deerskin lining and a rawhide lace. Fully padded cushion insole. 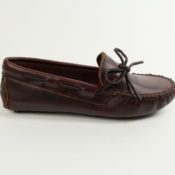 NEW SPRING MOCCASINS ARE HERE! !